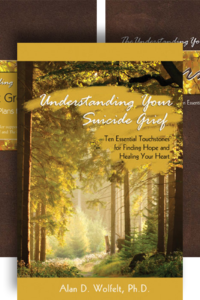 An estimated 8 percent of Americans are thought to be suffering from Post-Traumatic Stress Disorder at any given time. Many are victims of or witnesses to violence. Others have been neglected or abused. 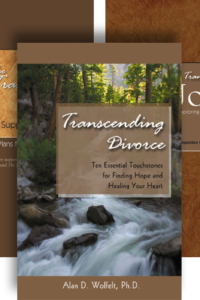 Some have experienced a traumatic accident or natural disaster. 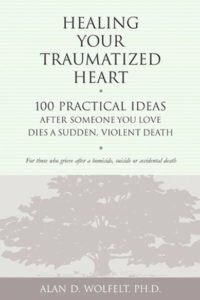 Still others have experienced the sudden and perhaps violent death of someone they love. 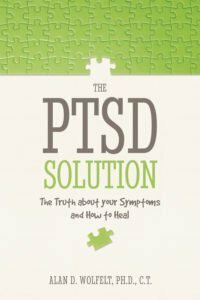 No matter the cause, PTSD results in symptoms of acute stress, including anxiety, persistent thoughts or flashbacks, and a host of other physical, emotional, cognitive, social, and spiritual challenges. 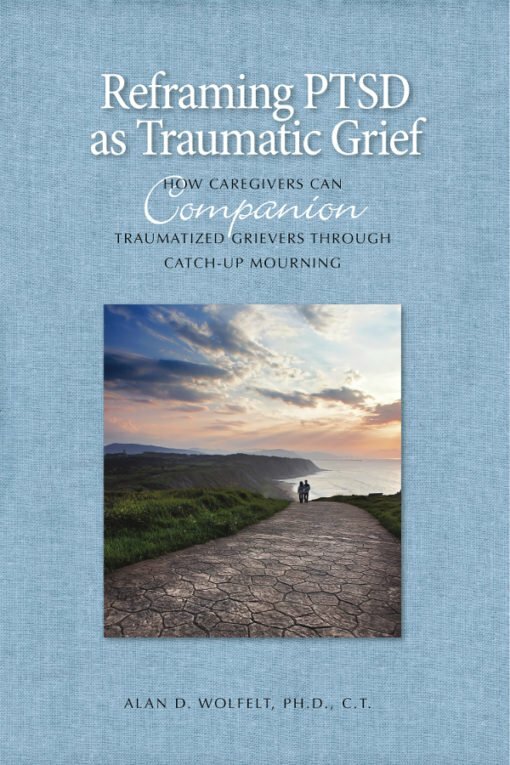 In this guide for counselors and caregivers, Dr. Alan Wolfelt reframes PTSD as a form of grief. 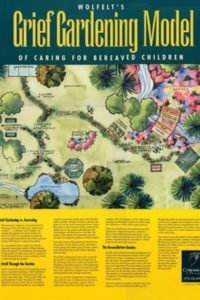 Helping PTSD sufferers mourn their unacknowledged and “carried” grief over the traumatic events that caused their symptoms is the key to helping them heal. Rather than seeking to quickly treat away symptoms of PTSD, caregivers who follow Dr. Wolfelt’s “companioning” philosophy will instead see the natural and necessary PTSD symptoms as indications that the sufferer needs additional support and encouragement to express himself. 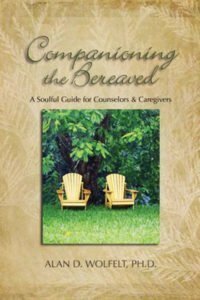 This holistic new approach acknowledges clinical PTSD treatments as part of the solution while emphasizing that authentic mourning is the primary and most essential healer.